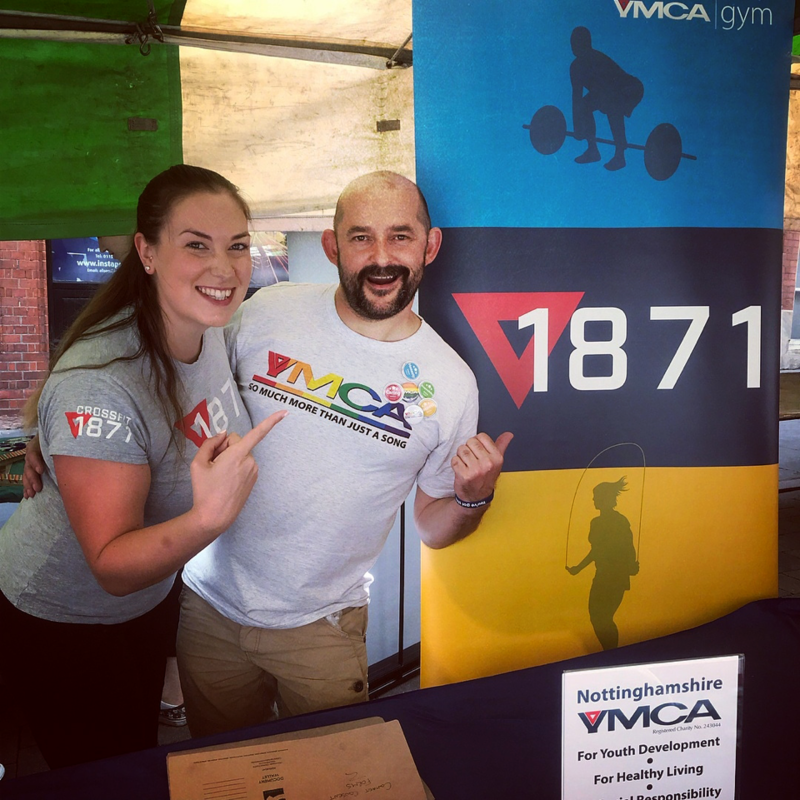 Nottinghamshire YMCA is a diverse charity supporting community development through supported housing, health and fitness, children’s services, youth services and community venues. We have a range of volunteering opportunities available from interpreters in our accommodation to holiday camp leaders. We offer challenging and rewarding volunteering opportunities at a charity which puts the Christian values of caring, honesty, respect and responsibility at the centre of all we do. Please note that depending on your role, volunteers will most likely need to be DBS checked before working with our service users. 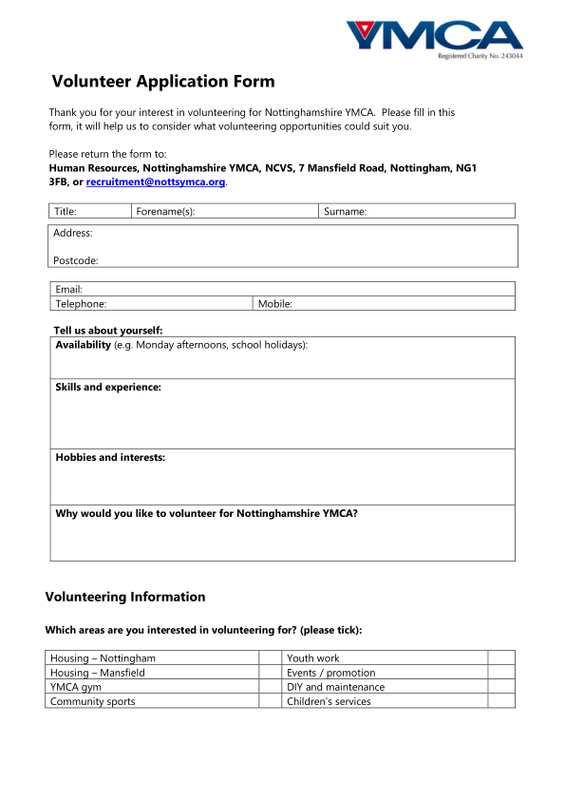 Please complete the below Volunteer application form and return to recruitment@nottsymca.org. Regional challenges: Equinox, Robin Hood Marathon, Tough Mudder etc. Indoorsy type? Why not trek the length of Kilimanjaro on YMCA Gym treadmills! Remember to get in touch (mpr@nottsymca.org) and we will be happy to help support and promote your event! Hours: Flexible but must be able to commit regularly for at least 1 month. If you cannot commit to a voluntary position but would like to help change lives, we are always grateful for online donations or gift contributions to our hostels in Nottingham city centre, Mansfield and Goole. Even the smallest contribution can make an enormous difference to a homeless person who does not take their next meal for granted. Any donation will be deeply appreciated, but ideas for gifts could include anything from stationary and warm clothing to self-help books to empower our residents or arts/craft supplies for the creative classes hosted at the accommodation. You can pop by your local YMCA reception or email mpr@nottsymca.org.